Dr. Charles Burton is a renowned neurosurgical spine specialist, ethicist and educator dedicated to public advocacy for the patient’s best interest. For more than 40 years, he has been on the forefront of neurosurgical spine care, innovating devices and practices to improve rehabilitation, preventative care and quality of life for patients with spinal disorders and disease. As the editor of burtonreport.com, he has brought more than 40 years of experience in the medical profession to increase the quality of health care while decreasing the cost for the patient. As a neurosurgeon and associate professor, Dr. Burton has taught neurosurgery at Johns Hopkins Hospital in Baltimore and Temple University Health Sciences Center in Philadelphia. Dr. Burton moved to Minneapolis to found the Department of Neuroaugmentive Surgery at Sister Kenny Institute in Minneapolis at the request of Loren Leslie, MD and Earl Bakken, the founder of Medtronic, among others. His move to Minneapolis allowed him to initiate a highly innovative program designed to implant electronic devices to augment function of the nervous system, serving as an adjunct to patient rehabilitation. At this facility, most of the patients referred had failed back surgery, thus providing insight into the reasons why back surgery was failing patients. His findings prompted numerous research studies and publications intended to decrease the incidence of failed back surgery while increasing preventative care and health maintenance. Dr. Burton routinely represents ethical neurosurgery in the drug and device market, even acting as Chairman of an FDA medical device advisory panel. During this panel, he began to see the importance of full disclosure to help nullify a potential conflict of interest in the field of medicine. Dr. Burton went on to create the Low Back Clinic of the Sister Kenny Institute, the Institute for Low Back Care, and the Center for Restorative Spine Care. He is now the Medical Director at Sentinel Medical Associates. Dr. Burton was also one of the original co-founders and a member of the Board of Directors of the North American Spine Society (NASS) and the American Board of Spine Surgery, as well as one of the initial members of the International Society for Study of the Spine. 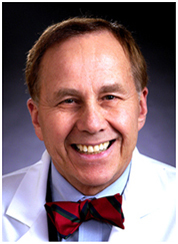 Dr. Burton received his undergraduate degree from Johns Hopkins University in Baltimore and his medical degree from New York Medical College. He completed his Surgical Internship at Yale Medical Center in New Haven and his Neurosurgery Residency at Johns Hopkins Hospital in Baltimore, after which he served as the head of a neurosurgical unit during the Vietnamese War.